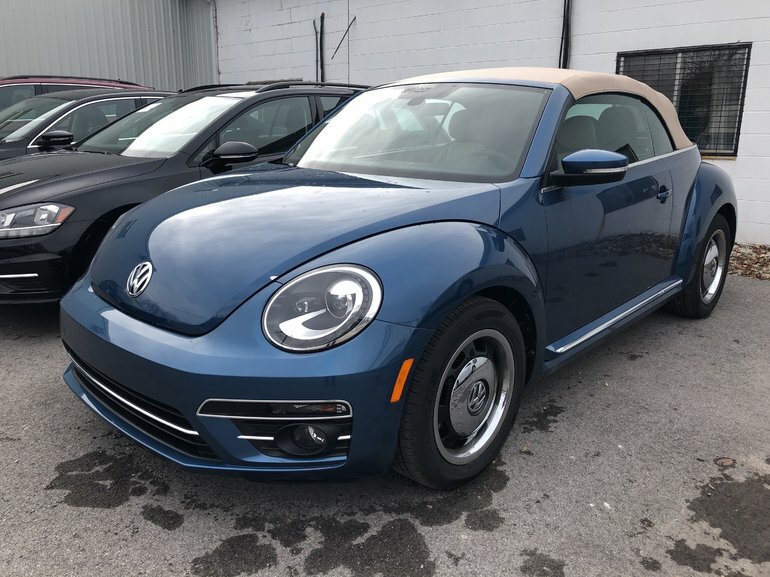 Picture this: driving along the coastline with the top down of your brand new (and appropriately named) Coast Beetle Convertible! The Coast trim stirs up nostalgia with its heritage alloy wheels, surfwood interior, beige soft-top, and two-toned leather seating. App-Connect, Bluetooth, heated front seats, heated mirrors, cd player, keyless entry, push button start, rear-view camera and so much more come standard with the Coast trim. The style package ads to the fun-to-drive experience with Fender premium audio with subwoofer,, Bi-Xenon Headlights, fog lights, and dual-climatronic control. 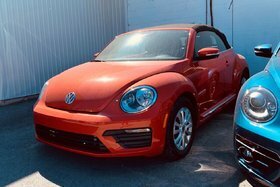 Get ready to have some fun in the sun this summer in your brand new Coast Beetle Convertible! 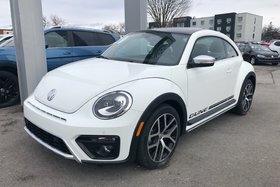 Give us a call at 613-966-3333, email info@bellevillevw.com, or stop by for a test drive! 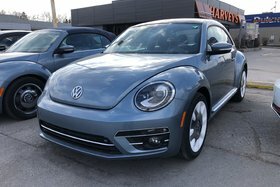 Interested by the 2018 Volkswagen Beetle Convertible COAST AUTO?